Est. 1880 as one-room, one-teacher school. In 1920 consol. several community schools & became accredited high school. Closed in 1959, students transferred to other schools. Presented by Heucks Alumni, 1984. Erected 1984 by Mississippi Department of Archives and History. Location. 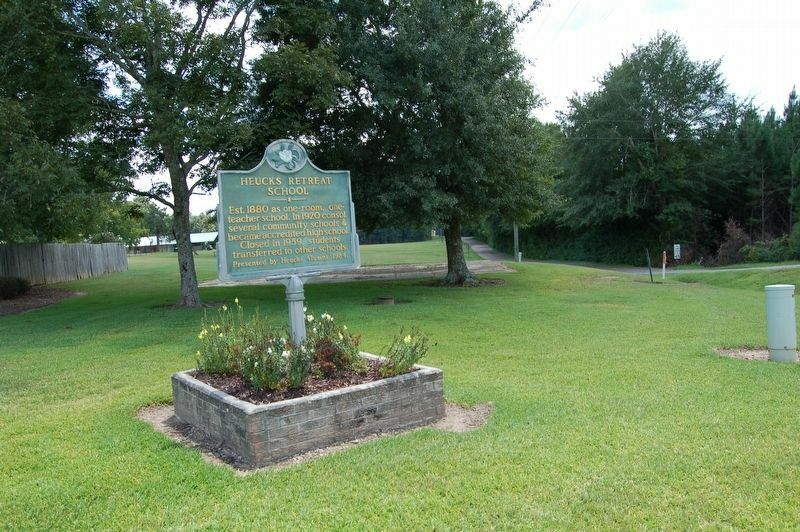 31° 37.329′ N, 90° 21.488′ W. Marker is in Brookhaven, Mississippi, in Lincoln County. Marker is on Heucks Retreat Road near Callender Road NE, on the left when traveling west. Touch for map. Marker is at or near this postal address: 2167 Heucks Retreat Road NE, Brookhaven MS 39601, United States of America. Touch for directions. (approx. 5½ miles away); Little Brother Montgomery (approx. 5.6 miles away); New Sight School (approx. 5.7 miles away). Touch for a list and map of all markers in Brookhaven. More. 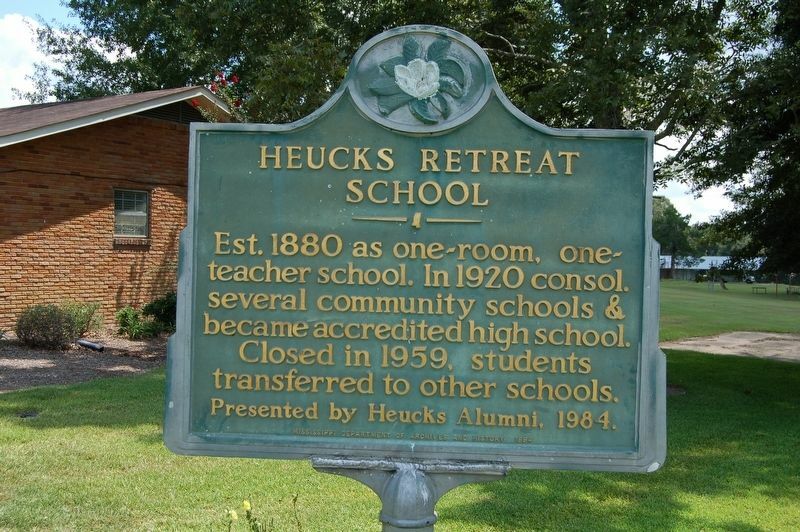 Search the internet for Heucks Retreat School. Credits. This page was last revised on August 30, 2018. This page originally submitted on August 30, 2018, by Cajun Scrambler of Assumption, Louisiana. This page has been viewed 64 times since then and 21 times this year. Photos: 1, 2. submitted on August 30, 2018.